I love fish. Particularly a well cooked, crispy skinned salmon. Here are a few tricks to easy and delicious fish. These methods can be applied to any fish with skin on. heat pan, make sure it is piping hot! DO NOT OVERCOOK FISH, you can always cook longer, but you can’t repair dry fish. I make this every single Monday with some sort of fresh fish. 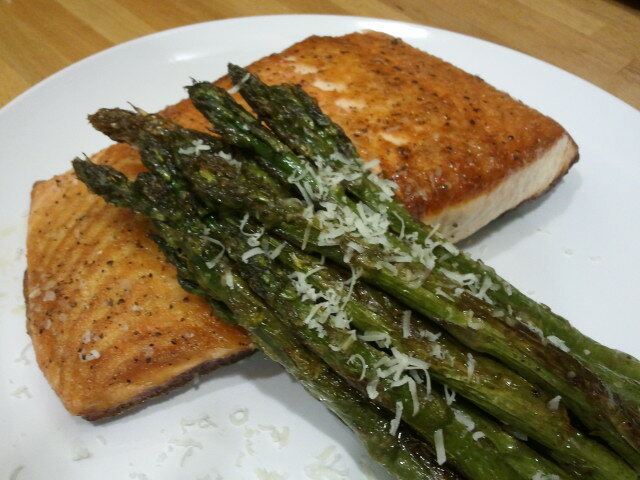 Sprinkled with grated pecorino romano.. so tasty! What a delicious and simple meal!